If you’ve followed F1 for a few years, you’ll know that every so often new regulations force the teams to change their designs. After that, teams constantly hone and develop their racecars; huge strides are made the beginning of the development cycle, while towards the end of a set of technical regs, the gains are more marginal. Can you see where I’m going with this? Simply put, F1 2018 doesn’t deliver a huge amount over its predecessor, but what it does add makes it a better, more rounded game. The new additions can be divided into three key areas, and we’ll start with the off-the-track gameplay first. 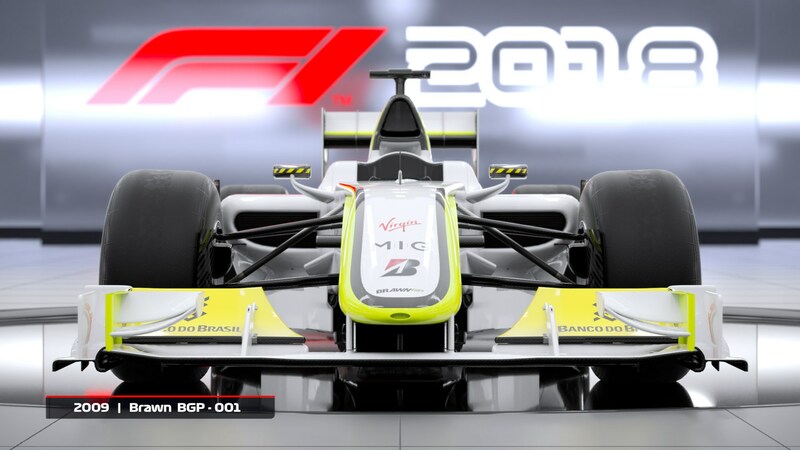 In order to make F1 2018 more than just a car game with not many cars, Codemasters has focused on other aspects of F1. Updated and expanded for this year, the paddock now plays a big part in the new F1 2018 career mode. A journalist asks you quickfire questions after selected sessions, and you’re allowed to negotiate with teams four times a season. Bizarrely, Codemasters has even sampled turnstile noise from the paddock entrances. A nice touch, and a signal of just how thorough it’s trying to be. As you’d expect, Codemasters has focused on the off-track drama in other ways, too. You’re able to pick your teammate, with the result of the intra-team rivalry impacting your worth as a driver. Beat four-times world champion Lewis Hamilton a few times, and your worth will go up – get burnt by Lance Stroll every weekend, and you’re done basically. 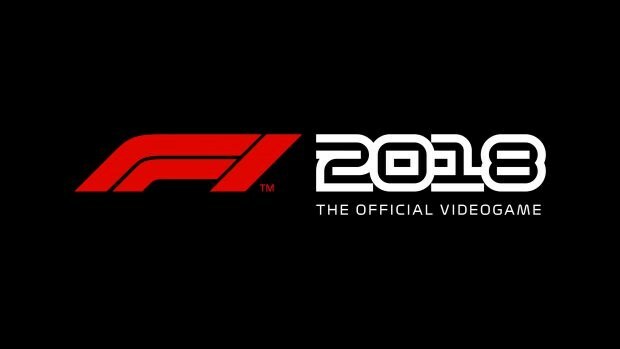 This is where you’ll find the biggest jump: F1 2018 looks significantly better than the 2017 game. It’s fair to say the last few F1 games have looked relatively similar, with all footage looking a little too clean and 'uncanny valley' compared to other games. The difference in graphics between F1 2016 and F1 2017 seemed to simply be new car models, for example. 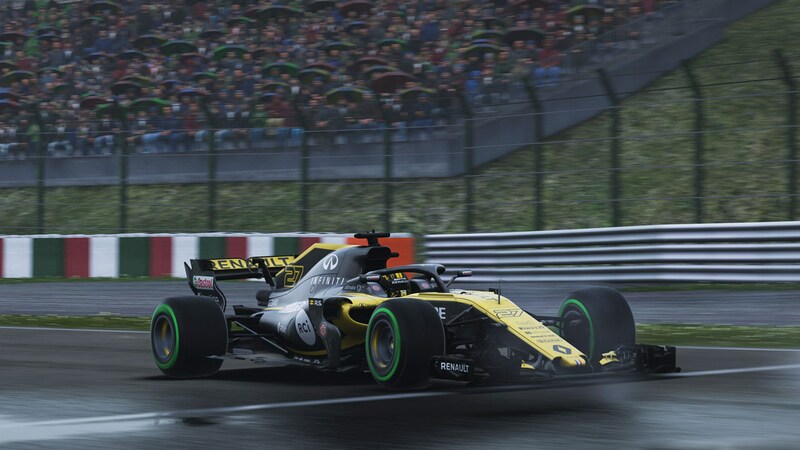 Instead, F1 2018’s presentation makes serious strides over the previous game – and that’s partly because it looks dirtier, dustier and hotter – more like what you’d actually see on TV. All environments now feature a lifelike-haze, while dust kick-up also makes the game world look truer to life. Furthermore, it seems as though Codemasters has learnt from the incredible camera work of GT Sport: depth of field is more pronounced in F1 2018, and it makes everything in keeping with TV presentation. Finally, there’s heat haze too, a subtle effect that seems to make a huge difference to the realism. While these effects are most pronounced in the broadcast-style replays, they add an increased realism to the gameplay as well. Get the right camera angle, and F1 2018 will occasionally pass for real life. To be clear, these aren’t GT Sport level graphics, but they're much better than before, and do get a boost from the PS4 Pro’s HDR and 4K capabilities. We’ve spent time playing F1 2018 with both a wheel and a controller (on PS4 Pro) and overall the driving experience is very similar to that of the last game. Just like last year, the game features an exaggerated understeer mode which helps you when using a pad, but it’s easy to turn off. The most noticeable difference in this year’s title is the way the your car will handle bumps. You now see and feel – especially with a wheel – the car going over uneven areas of tarmac. It’s communicated by increased suspension movement on screen, and a specific type of rumble in your wheel or pad. It doesn’t sound like a huge change, but take all the assists off, and it’s an extra layer of information for the driver. With a wheel, it also makes braking zones more visceral and violent – you really feel like you need to hold onto the car during deceleration. In moments of heavy braking, some bumps will unsettle the car, so you’ll find yourself slowing the car earlier or later – or exploring a slightly different line. Codemasters says tyre temperature models now play a larger role, though we haven’t noticed them yet. Codemasters didn’t reveal too much about multiplayer, other than you’ll be able to earn a Super licence and take part in matched races – so a lot like GT Sport, then. Classic racers also make a return, this time with the edition of a 2004 Williams and 2009 Brawn and both James Hunt and Niki Lauda's '76 cars. Oh, and the Halo is also present for the 2018 cars. Don’t worry though, in cockpit modes the game allows you to remove the central pillar for better visibility. It's easy to say that F1 2018 is a better game than F1 2017 – but there is one caveat; it’s not a much better game. 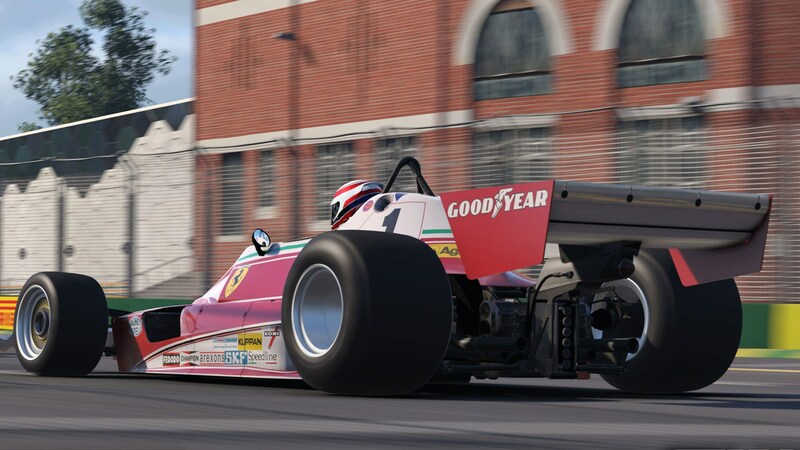 In the same way that F1 teams struggle to find performance updates toward the end of a car’s development cycle, it seems Codemasters is now up against the law of diminishing returns. But if you’re an serious F1 fan, you’re going to buy it anyway, aren’t you?